The People's Republic of China is on course to become the world’s largest military spender in just 20 years. It is investing in thousands of accurate land-based ballistic and cruise missiles, modern jets with anti-ship missiles, a fleet of submarines, long-range radars and surveillance satellites, and cyber and space weapons. China aims to threaten American bases in the western Pacific and to control the Yellow Sea, South China Sea, and East China Sea by pushing U.S. carrier groups beyond the first island chain. But China already has its empire. The PRC consistently devotes just over 2% of GDP to defense, whereas America spends 4.7%. China has been increasing its defense budget steadily for two decades. Annual defense spending rose from over $30 billion in 2000 to almost $120 billion in 2010. 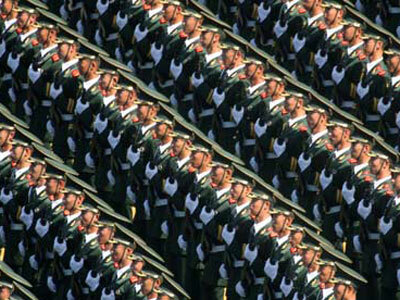 Total military spending in 2012 may be around $160 billion. On present trends, China's defense spending could overtake America's after 2035. 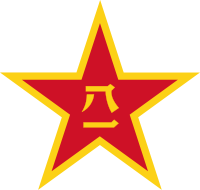 The People's Liberation Army is still the largest army in the world. 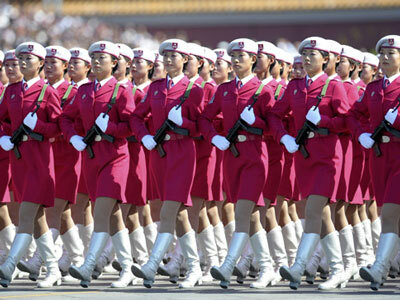 Run by the Communist Party of China and its Central Military Commission, the PLA an active force of 2.3 million. But the 1991 Gulf War convinced the PLA that its huge ground forces were militarily obsolete. China is developing anti-access/area denial (A2/AD) capabilities that use pinpoint ground attack and anti-ship missiles, a growing fleet of modern submarines, and cyber and anti-satellite weapons to destroy or disable hostile military assets from afar. In the western Pacific, A2/AD means targeting or jeopardizing U.S. Navy carrier groups and U.S. Air Force bases in Okinawa, South Korea, and Guam. America's allies in the region could no longer rely on U.S. support to deter aggression or to resist coercion. China plans to be the regional hegemon. At the Academy of Military Science in Beijing, PLA scholars are learning all they can from American think tanks about the revolution in military affairs (RMA) triggered by exponentially greater computing power. General Chen Zhou: "We studied RMA exhaustively." China has made big investments in the air force, the navy, and the Second Artillery Force, which operates nuclear and conventional ballistic missiles. The Chinese call the deployment of advanced military platforms "mechanization". In the next decade, China will network the new weapons for the battlefield through "informatization" (C4ISR: command, control, communications, computers, intelligence, surveillance, and reconnaissance). The two processes should be completed by 2020. On current trends, China will soon be able to deploy satellites and reconnaissance drones, thousands of surface-to-surface and anti-ship missiles, more than 60 stealthy conventional submarines and at least six nuclear attack submarines, stealthy manned and unmanned combat aircraft, and space and cyber warfare capabilities. In addition, the navy is considering aircraft carriers, which would unmistakably declare an ambition to project power far from home and counter expected moves by Japan and India. The new Chinese assets are mostly asymmetric, designed not to match American military power in the western Pacific but to exploit its vulnerabilities. Taiwan is the main spur for China's military modernization. In 1996, America reacted to Chinese ballistic missile tests carried out near Taiwanese ports by sending two carrier groups into the Taiwan Strait. Since 2002, China's strategy has focused on a cross-Strait armed conflict in which China's forces would not only confront opposition from Taiwan but also neutralize an American attempt to intervene. In 2005, China passed the Taiwan Anti-Secession Law. China Institute of International Studies thinker Jia Xiudong: "The first priority is Taiwan. The mainland is patient, but independence is not the future for Taiwan. China’s military forces should be ready to repel any force of intervention." In 2004, Chinese premier Hu Jintao said the PLA should be able to undertake "new historic missions". 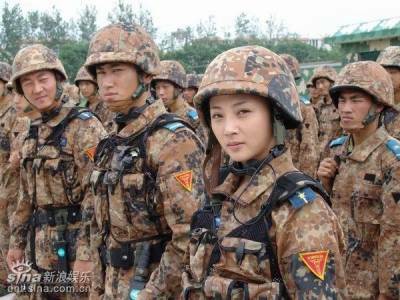 China has become the biggest contributor of UN peacekeeping troops among the permanent five members of the Security Council. Responsibility for most of these new missions has fallen on the navy, which also guards Chinese economic interests by supporting sovereignty claims, protecting Chinese shipping, preserving access to energy and raw materials supplies, and safeguarding Chinese citizens who work abroad. 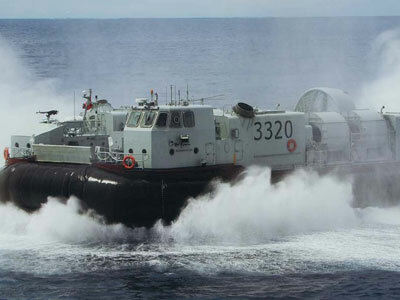 The navy’s growing fleet enables it to carry out extended "green water" operations and will in future allow longer-range "blue water" missions. 1 China has a vital national interest in the stability of the global economic system. Its military leaders constantly stress that development takes precedence over military ambition. For many years China has spent just over 2% of GDP on defense, less than half the U.S. rate. China's leaders worry more about internal threats to their control than external ones. Last year, spending on internal security outstripped military spending for the first time. 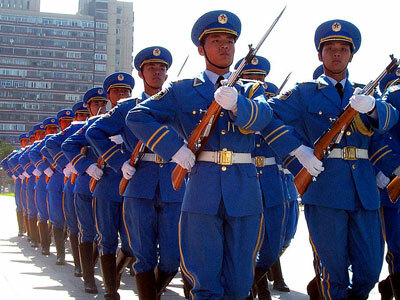 2 China has a sense of its place in the world and wants its armed forces to reflect that. General Yao Yunzhu of the Academy of Military Science: "We are criticized if we do more and criticized if we do less. The West should decide what it wants." 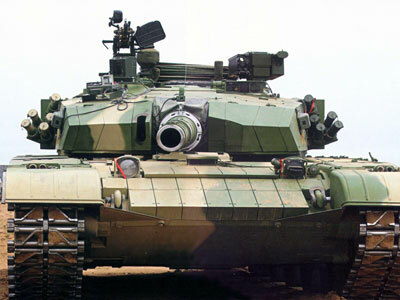 3 China’s military technology has suffered from the Western arms embargo imposed after the Tiananmen Square protests of 1989. China’s defense industry may be improving but it remains inefficient and dependent on imports from Russia. The PLA also has little recent combat experience. It lost its last war against Vietnam in 1979. In contrast, a decade of conflict has honed American forces to a new pitch of professionalism. General Yao says China has no need to be a military peer of the United States: "But perhaps by the time we do become a peer competitor the leadership of both countries will have the wisdom to deal with the problem."